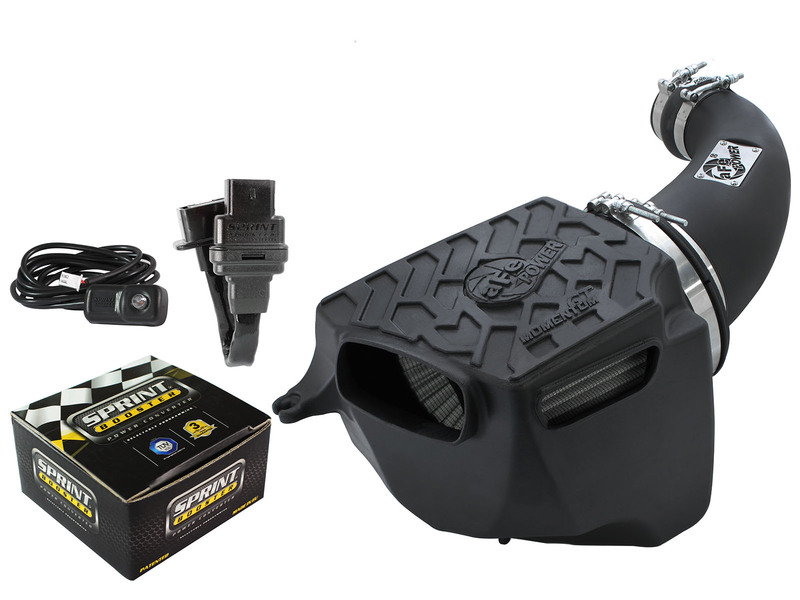 The cold air intake and sprint booster performance package pairs aFe's horsepower and torque increasing cold air intake system with the adjustability of throttle response from the sprint booster. The sprint booster features three settings: factory, sport, and race. Each setting compliments the Stage 2 cold air intake by allowing improved acceleration on and off road. 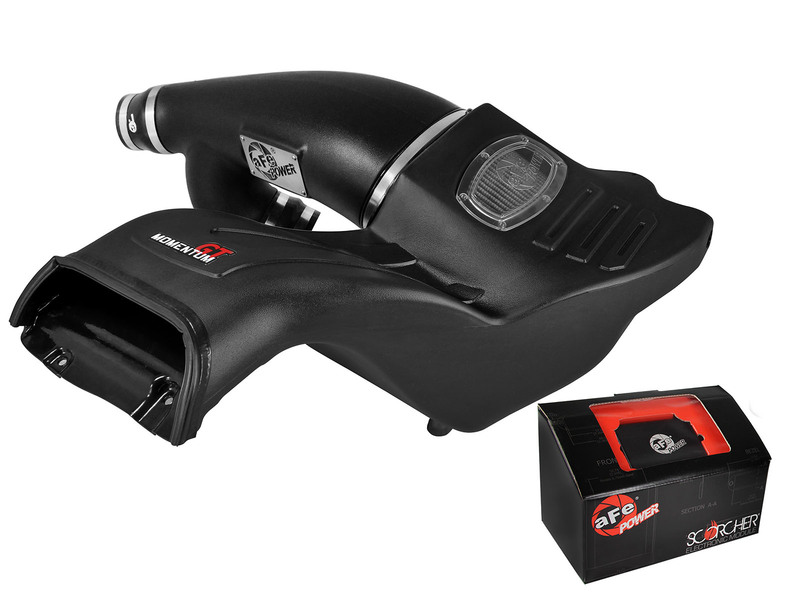 The aFe Power exhaust manifold performance package offers more power at a great value. 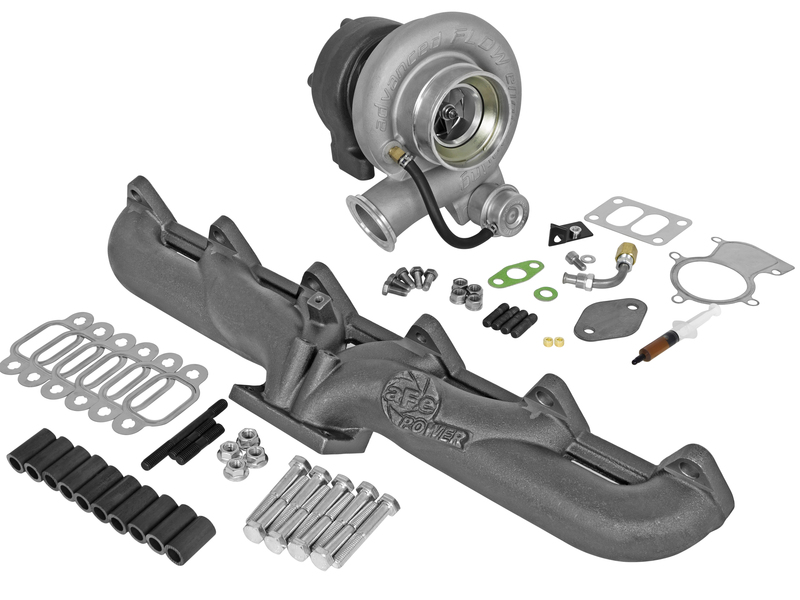 This package features aFe Power's cast ductile iron exhaust manifold and a stock replacement BladeRunner turbocharger with no core charge. The turbocharger requires no additional fueling and comes with a two year warranty. Included in this performance package is all the necessary hardware for a hassle free install. 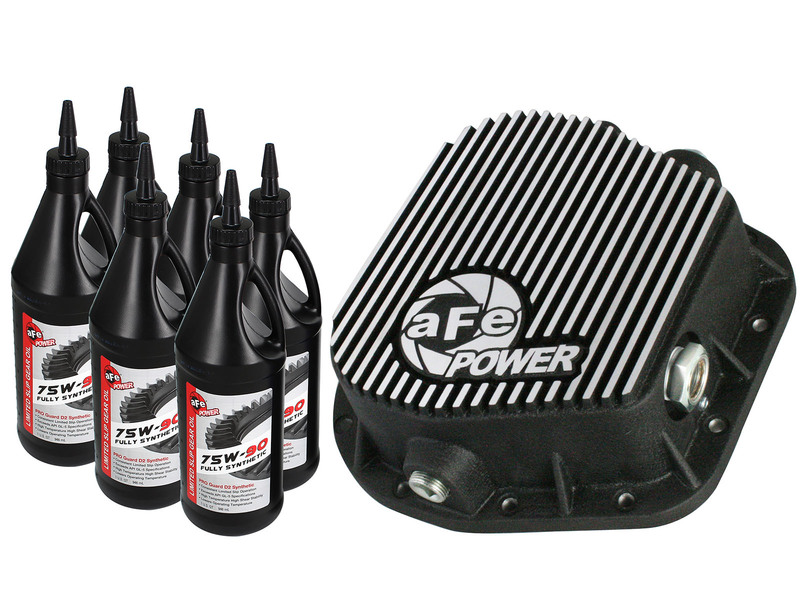 The aFe Power Differential Cover & Oil protection package includes our machined fin differential cover and full synthetic 75W-90 gear oil. Each cover has additional fluid capacity to ensure better heat dissipation and prolonged life of gears. The differential cover features internal/external that absorb heat from the oil and transfers it to the external fins. Paired with aFe POWERs high temperature, high shear stability oil adds the ultimate protection. 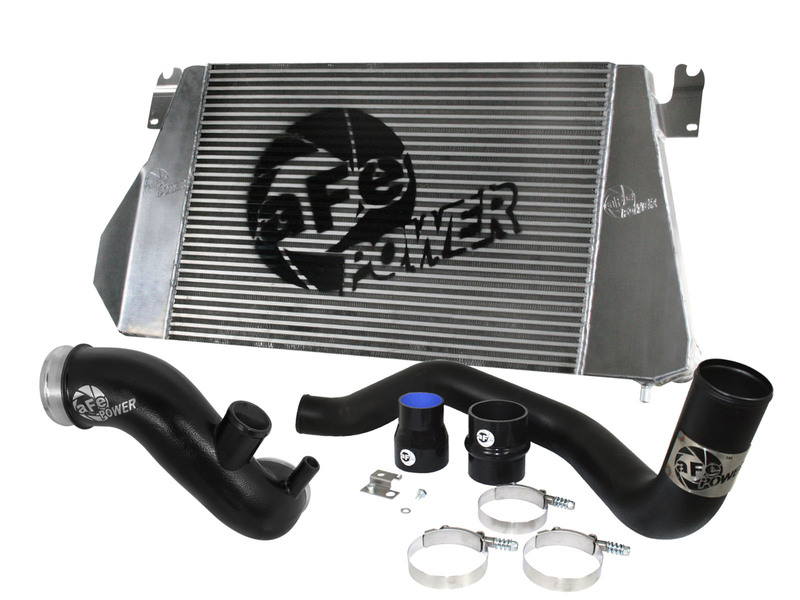 The aFe Power Intercooler performance package maximizes horsepower, torque, and cooling power. The BladeRunner intercoolers utilize a bar and plate design that is larger and outflows OE style tube and fin core designs This design results in quicker and more measurable heat dissipation. The combination with our unrestricted intercooler tubes and turbo inlet manifold allows for more useable air resulting in improved turbo spool and lower exhaust gas temperatures (EGTs). The cold air intake and tuner module performance package combines our intake system and SCORCHER module. The simple and safe plug and play module adds instant power optimizing your engines performance. When paired with our intake maximum horsepower and torque is achieved by allowing your engine to breath better with dyno-tuned roto-molded tube and high flow air filter.